If you’re late on your taxes or haven’t filed in years, help is on the way with Ronald A. Muscarella, CPA, and the Tax Relief CPA team. 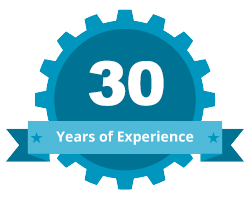 For more than thirty years, our tax professionals have been fighting for clients just like you. We’ve helped hundreds of businesses and individuals file late returns and return to good standing with their taxes and we will do the same for you. We understand the stress and legal implications that come with late returns and know how to get positive results fast. If you need to file a late tax return whether you owe taxes or anticipate a refund it is important to seek specialized help immediately to avoid further complications and consequences. The IRS tax code is constantly changing so be sure to hire a certified public accountant that specializes in handling late filings, can navigate complex tax situations and has a track record of succeeding for its clients. While your tax situation may seem dire, rest assured, we will provide fast and effective tax relief so that you can move forward with the confidence of knowing that your situation is being managed by experts who have your best interest at heart. If you have misplaced your records, there’s no need to worry. Our tax professionals can access your records via the IRS transcript delivery system to save you time. In some cases, our clients pay mere pennies on the dollar of what they originally believed they owed. Let us fight to do the same for you. Take the important first step to resolution by contacting us today at (954) 746-7801 for a free, confidential and no-obligation consultation and put your IRS tax problems behind you. Estimates stated are based on prior results; individual results will vary based on circumstances, including your ability to provide Tax Relief CPA with information that is accurate and timely. We do not guarantee that your tax debts will be lowered by a specific amount or percentage, that your tax debt will be paid off within a specific period of time or guarantee you will qualify for any IRS programs. Penalties and interest will continue to accrue until your tax liability is paid in full to the IRS. Tax Relief CPA is a tax resolution firm independent from the IRS. We do not assume tax debt, make monthly payments to creditors or provide legal advice. By providing your contact information, you expressly consent to receiving calls and/or SMS text messages at the number you provided as part of our service offerings, including but not limited to advertisements, solicitations, and service updates. The phone number belonging to the called/messaged person(s) could incur charges for such contact. Read and understand all program materials prior to enrollment. Not available in all states.